The April 2019 issue of STACK Magazine is on shelves now. STACK Magazine is the essential guide to cinema, DVDs, games and music, showcasing all the latest releases and exclusives instore at JB Hi-Fi. Drop into your nearest JB Hi-Fi to pick up your free copy while stocks last. You can use the store locator to find your nearest JB Hi-Fi store. 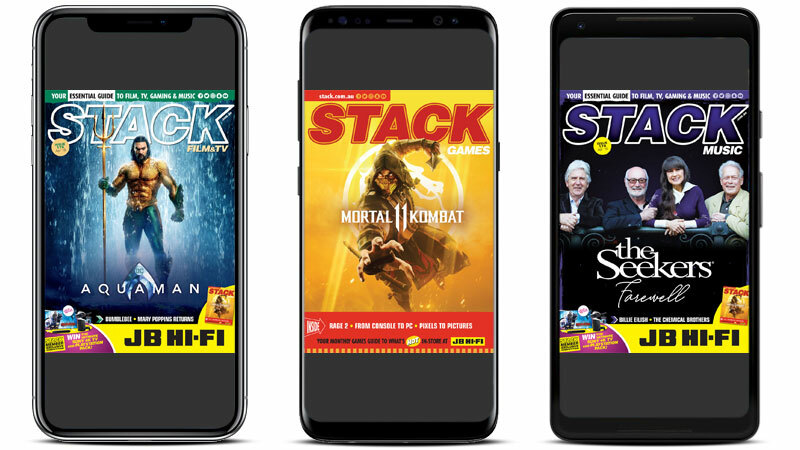 The April STACK iPhone and Android app – your free essential digital edition. Download the iPhone app or the Android app for phone or tablet, or you can read the digital version of the magazine online here.